Kefalonia enjoys many hours of glorious weather. 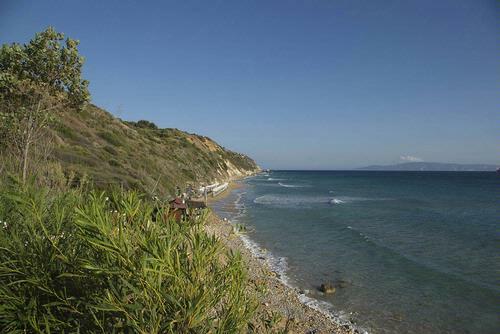 Kefalonia benefits from a hot and sunny Mediterranean climate, with little rain during the peak holiday season. The driest month is typically July, whilst the northerly prevailing winds bring warm, dry weather from the continent. Temperatures are a little cooler later in the holiday season, however, rainfall increases at this time of year. The charts below show how the average sunshine hours, rainfall and temperatures in Kefalonia contrast to those of London.